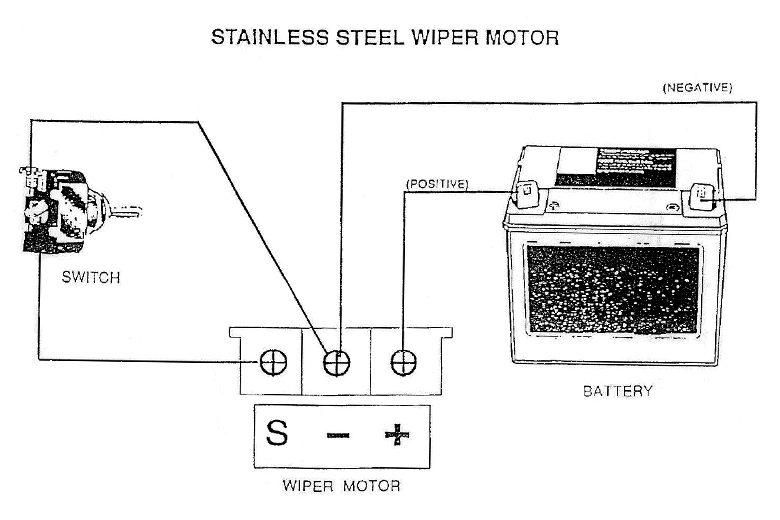 Electric wiper motors are reliable, easy to install, and an excellent upgrade for any Scout. 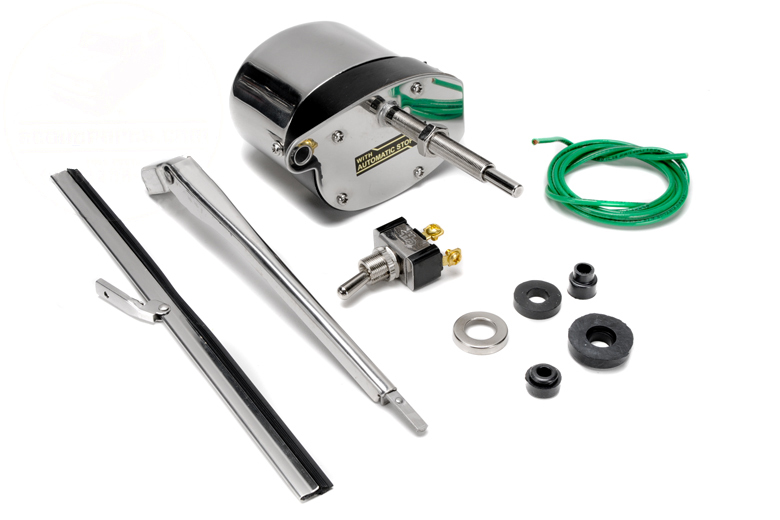 Kit includes hardware, switch, harness, wiper arm, and blade for one side. Available with stainless housing. Note : These fit really well for 1961-1965. Some modification to your dash will be required for the 66-71 Scout 800s. Specifically, if you have a Scout 800, you need to cut out part of the back of the windshield frame so that the motor will sit inside the windshield frame and clear the back of the gauges and glove box.